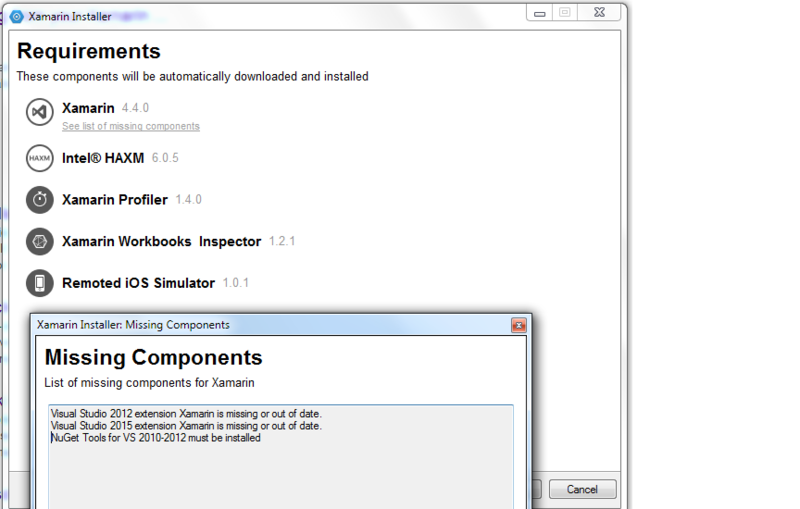 I am installing xamarin on VS 2015 (Professional edition) but wasnt successful with it. Installation guide says that VS 2015 extension xamarin is missing or out of date. Installing "Xamarin.VisualStudio_4.4.0.34.msi" manually doesn't solves the problem. Please refer the screenshot for reference. Can anyone please guide me through? Could you post your full Visual Studio version information? You can get that from the Help -> About Visual Studio menu and then Copy Information and paste.